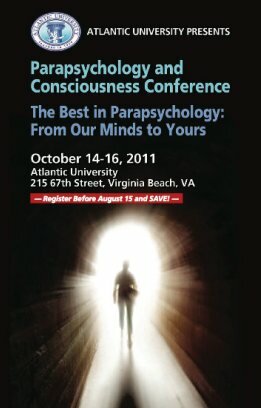 From October 14th to 16th, Atlantic University in Virginia Beach is hosting a Parapsychology and Consciousness conference titled, The Best in Parapsychology: From Our Minds to Yours. Julie Beischel, PhD, Edwin C. May, PhD, Roger Nelson, PhD, Dean Radin, PhD, Doug Richards, PhD, Carlos S. Alvarado, PhD, Christine Simmonds-Moore, PhD, Nancy L. Zingrone, PhD, Henry Reed, PhD, John Palmer, PhD, James Carpenter, PhD, Robert Van de Castle, PhD, Ginette Nachman, MD, PhD, Frank Pasciuti, PhD, Loyd Auerbach, MS, David McMillin, MA, and Stephen Braude, PhD. 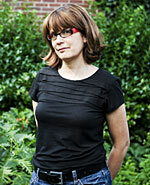 To see the conference brochure with a complete list of the speakers and talks, click here. Thank you Stacy! It’s going to be a great conference, come and join us (and a great time of year to have a wonderful walk on the beach)! Hey Stacy! I went to this conference, it was pretty great. Unbelievable, if you will. Hope you’re well.